Myanmar is with an area of 678500 km² bigger than any European country. Around 55 million people live here. Religion mostly Buddhist (89%). There are at least 10 different big ethnic groups where Bamar (68%) is the largest. 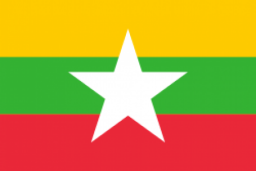 The government recognises 135 distinct ethnic groups with four major language families but the official language is Burmese (Bamar mother tongue).